alors que la version haut de gamme du modèle. comme celui-ci tant le tuning sauvage faisait ravage à l’époque. Ici, tout y est…l’habitacle est propre et tous les éléments au tableau de bord fonctionnent. options comptent aussi dans les avantages de cette GTX; équipée de la direction assistée, des jantes en alliage, des vitres et rétroviseurs électriques elle offre presque le confort moderne! Côté performance, le 1.8 développant 112 cv n’a aucun mal à animer les 935 kg du coupé. 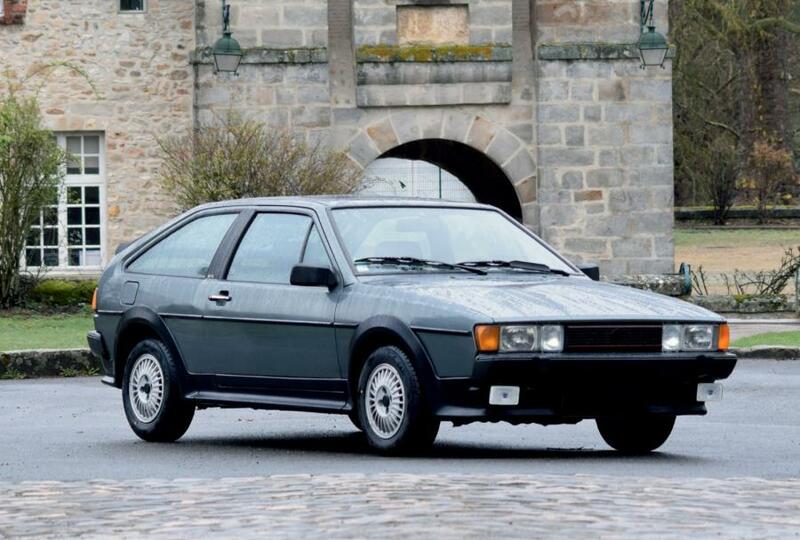 In March 1981, the Scirocco 2 was presented at the Geneva Motor Show, two years ahead of the future Golf Mk2, which was only unveiled in August 1983. This model has aggressive lines which suggest a still more sporting temperament. outstanding value at that time. 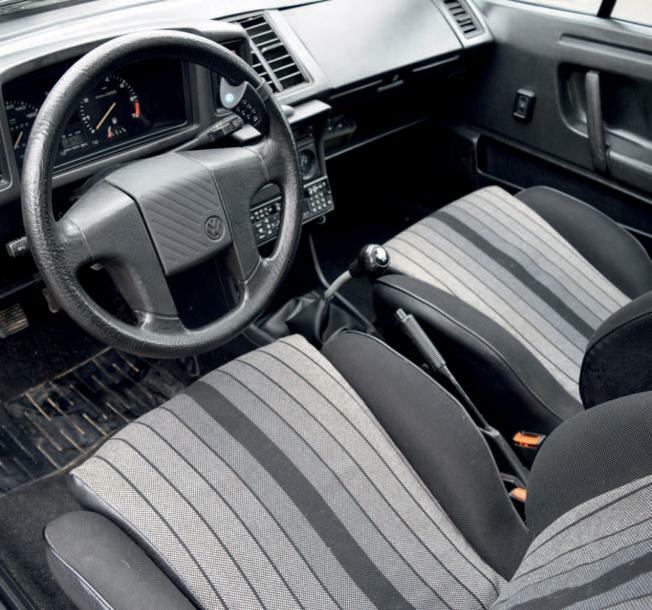 But if the Scirocco was the result of many hours of wind-tunnel testing, the interior had also been entirely reconsidered with numerous detail changes and a very high level of quality for a popular coupé. 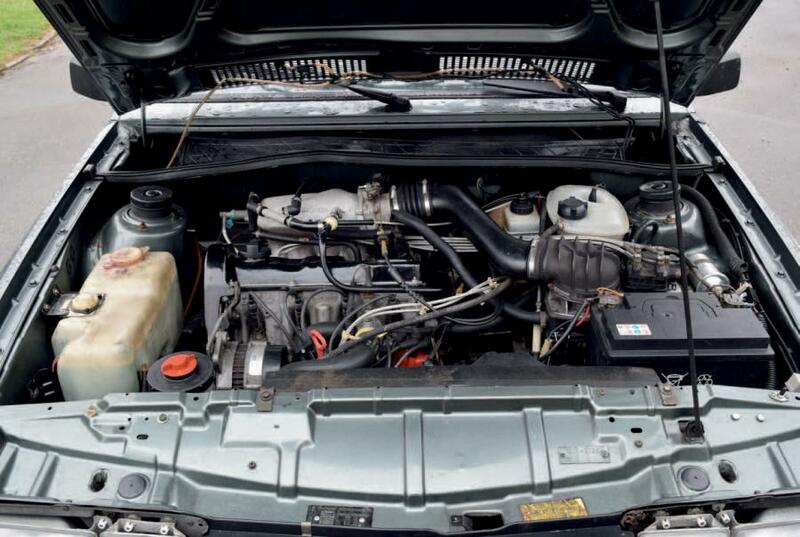 Regarding the engine, the impending arrival of the 16 valve unit meant that the range was completely revised with the GTX version being the top of the line-up. 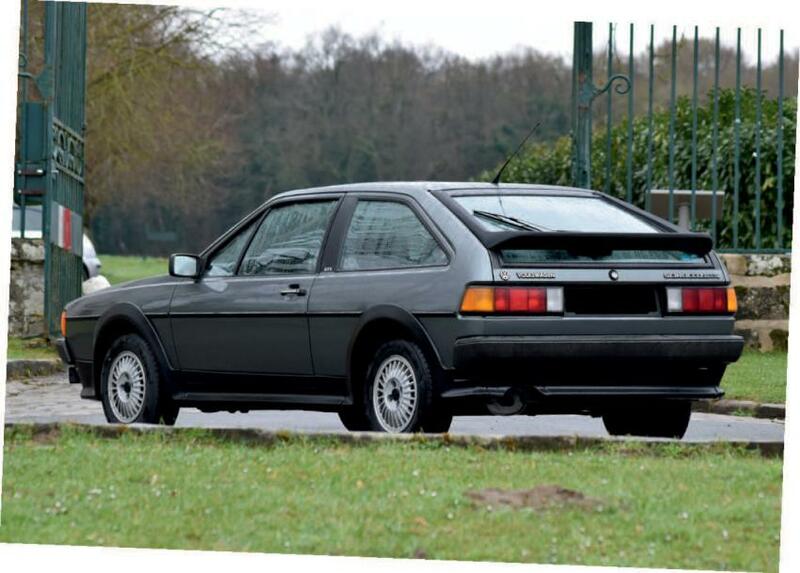 The car on offer was first registered on August 3rd 1984 and therefore belongs to the 1985 model-year, with a low and aggressive look, and recognizable by the new black in-house body kit which replaced the previous body kit made by Kamei. 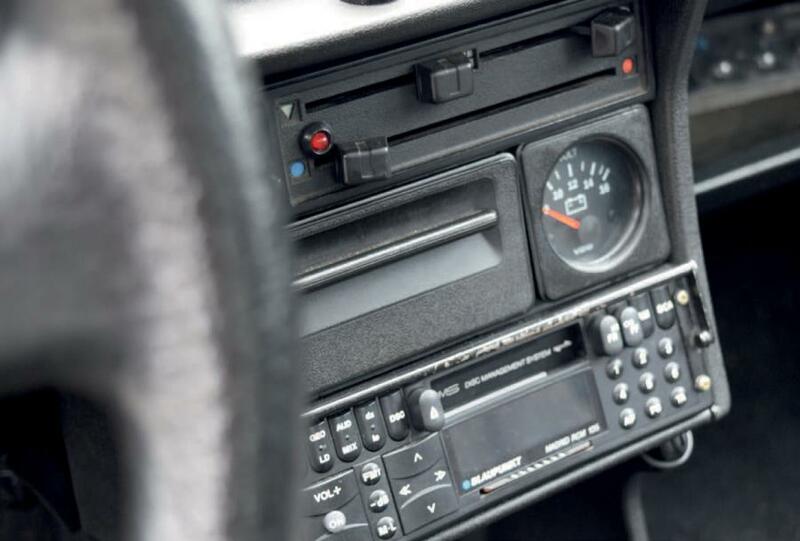 With an odometer reading of 155 000 km, this vehicle has a good appearance and is altogether well preserved. 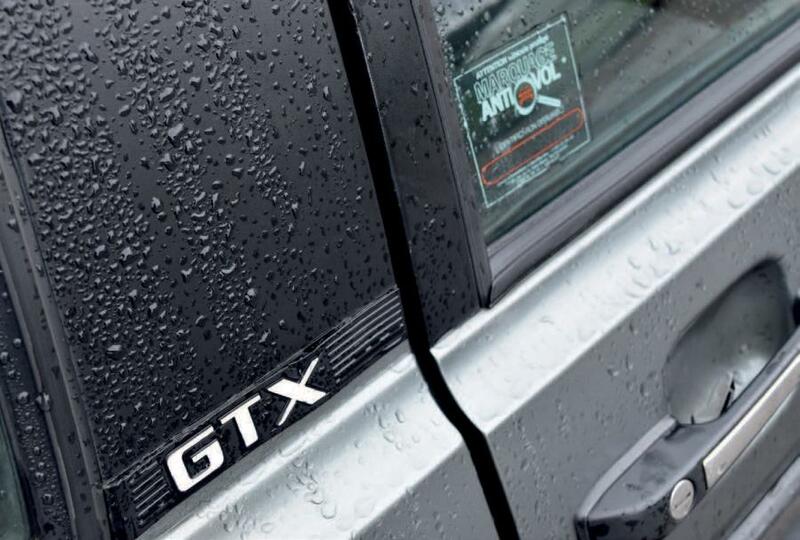 It is in fact unusual to find a GTX model still entirely faithful to its original specification, because the mania for tuning mods in full force at the time was responsible for many unfortunate transformations. On this car everything is as it should be. The interior is in good condition and all the instruments, switches and equipment function properly. The bodywork is sound and there are no visible signs of corrosion. The current owner has certainly not skimped on the maintenance. New or overhauled items include: timing belts, starter, clutch mechanism, engine and gearbox mountings, driveshafts, electric cable loom, filters, engine gaskets, brakes. Most recently 4 new tyres have been fitted, of correct dimensions although these are now difficult to find for the original 5.5x13 inch wheels. The appeal of this GTX is increased by its numerous options, which include power steering, alloy wheels, electric windows and rear-view mirrors. In all, an almost modern level of comfort is offered. So far as the performance is concerned, the 1.8 litre engine producing 112 bhp has no difficulty in hustling along the 935 kg of this coupé.